Snap Synopsis: A widowed mom tries to hold it together when she realizes her son’s night terrors might be real. Trigger Warning: The dog dies. Sleep is one of the absolute necessities needed for survival; you might be able to last a while if deprived, but sooner or later you’ll crash and burn. The dominating feeling of fatigue and borderline delirium that comes from sleep deprivation – itself a form of torture – is the driving force in Jennifer Kent’s The Babadook. The viewer follows single mother Amelia (Essie Davis) over the course of a week leading up to the anniversary of her husband Oskar’s sudden (and violent) death, in a film that is a great study of trauma and grief. Amelia’s already fraught week takes a turn for the worse when she reads the bedtime story of Mister Babadook (A Bad Book) to her son Sam (Noah Wiseman) and the boy insists that the Babadook really is haunting them. Trauma permanently changes someone. It’s true that there are universally suggested steps to help you cope in the aftermath, but there is no denying that everything from there on out is permanently altered. Grief can be seasonal; Bad Feelings can creep up and anniversaries can stun unexpectedly, no matter how many years have passed. “It’s been seven years!” Amelia’s sister snaps at her, brushing her off when the still grieving widow reaches out for some human contact. Sure, seven years is a considerable amount of time, but in her son, Amelia sees a painful reminder of her husband’s violent death, as Oskar was killed in a car accident rushing Amelia to the hospital to deliver the baby. There’s no telling who Amelia would rather have lived if presented with a choice, but that’s the point – she didn’t get one. The Single Mother is a character trope that is, in my opinion, quite well-suited to the horror movie. (Dark Water, both versions of The Ring, and The Red Shoes are a few films I’ve enjoyed.) In addition to battling whatever nightmare is trying to prey on her and her child, the mother also often faces the (very real) condescending views of society at large, making the moms some of the grittier Final Girls when they decide enough is enough and go into “Mama Bear” mode. While The Babadook is an Australian film, its cultural context translates well, knowing the derision and shaming a lot of single mothers face in the States. Essie Davis is excellent as the unraveling Amelia; every wince, every sigh, every motion she does is bone weary. When not being pitied or condescended to by other adults (even her nurse’s uniform infantilizes her), Amelia is trying to deal with Sam by herself and he just will not stop, both with normal hyperactive antics of a 6 year old, as well as with his anxiety and night terrors. Within the first ten minutes of the film, even I felt exhausted by the boy’s constant refrain of “mummummummum” and all the screaming and the crying. Sam is a sweet child, but troubled and incredibly needy both in his waking and sleeping moments. Amelia’s nightly routine is that of comforting Sam: trying to put him back to bed, then spending the night with the boy clinging to her, his hand gripping her throat as he grinds his teeth right in her ear. However unintentional, Sam is taking a toll on Amelia; she’s on the verge of a breakdown, and the upcoming anniversary has her moody and lashing out. In fact, the fleeting glimpses of Amelia at rest or somewhat content are when she’s in the company of her dog, rather than Sam. Anyone who tries to sell motherhood as only beatific smiles and eternal love is full of it. Mothers should be allowed to admit that not only is it sometimes difficult but that there can be days where they just don’t like their children. It’s pretty clear that Amelia is trying to cope unsuccessfully with the traumatic anniversary of Oskar’s death, but her sleep deprivation is starting to catch up. Prolonged sleep deprivation can lead to temporary psychosis with cognitive deficits like thought disorder and issues with basic perception; if left untreated longer, hallucinations can manifest. 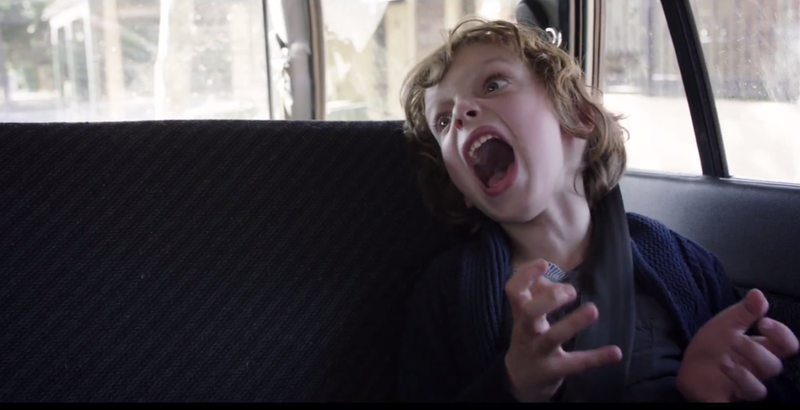 “Bring me the boy,” whispers the Babadook to Amelia over and over again. Whether the Babadook is a supernatural figure preying on Amelia and Sam, or a monstrous manifestation of Amelia’s resentment and the Ugly Feelings she harbors, the creature is still an expression of all the things that, as a mother, she feels she’d never be allowed to say out loud. “I know you don’t love me, the Babadook won’t let you,” says Sam. 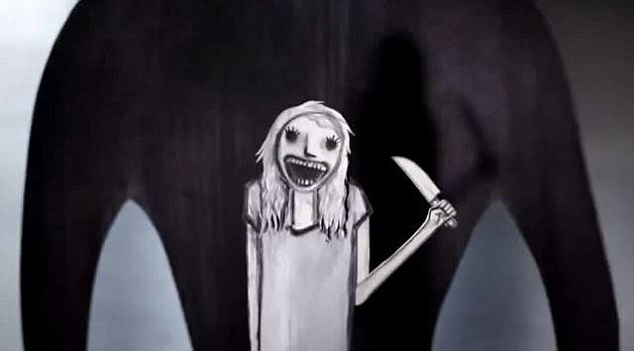 Whether interpreting The Babadook as a horror tale about a creepy boogey man, or a psychologically suspenseful narrative, the movie still hangs on one question: what lines might a mother cross when she has nothing left of herself? This entry was posted in film reviews, horror and tagged australian film, horror, horror movie, Jennifer kent, psychological film, The Babadook. Bookmark the permalink.